That fabulous day of the year has finally arrived.. THE CURVY CON!! I really wait all year long for CurvyCon to come, and I am glad that the weekend finally came. The vlog is a pretty long one, so grab a snack, and come along with me on my Curvy Con 2017 journey! I keep thinking that CurvyCon cant get any better, and ever year it honestly GET SO MUCH BETTER! Let’s first start off with the fact that CurvyCon is now durring New York Fashion Week. How amazing is that?? 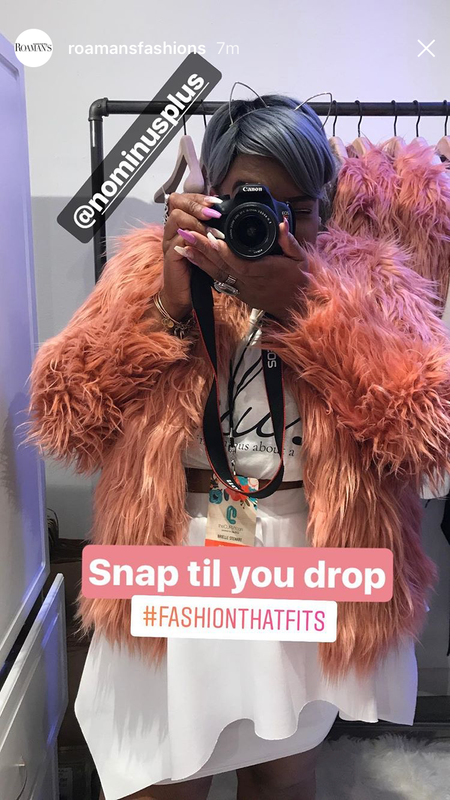 This plus size fashion event happened durring the biggest moment in fashion. I felt very excited to be apart of this momumental event. CurvyCon started off with a workout sesson sponsered by Target, and led by fitness guru Massy. Arias. I unfortunatly didnt attend, but I heard it was a great time! I did a little workout on my own, and then questioned my milk status. ( lol) After that it was a Sip and Shop which I actually did attend, and it was amazing! So many beauitufl women, and what I liked was that it wasnt all the same vendors from last year. It was some that are always there like Fashion to Figure, and some new booth’s like Romans! My Look for Day 1! I did a little shopping and sipping, and after that it was time for THE FIRST EVER CURVY CON FASHION SHOW! What was even better about was the fact that it was a DIA & CO fashion show! I was defnitly a proud Dia&Co employee this whole weekend. The following pictures ARE NOT MINE. I grabbed them from this wonderful article written about this fashion show on Mic. Com. Click here to read it and check out more pics! Both outfits you see are from the upcoming collection from Girl With Curves that is exclusivly being sold at Dia&Co starting on 9/18! If you want to get your hands on them join the waiting list by clicking here! Day 2 was the main event. All the panels, shopping, and bloggers that you can imagine! I was really excited because I got to work the event this year! 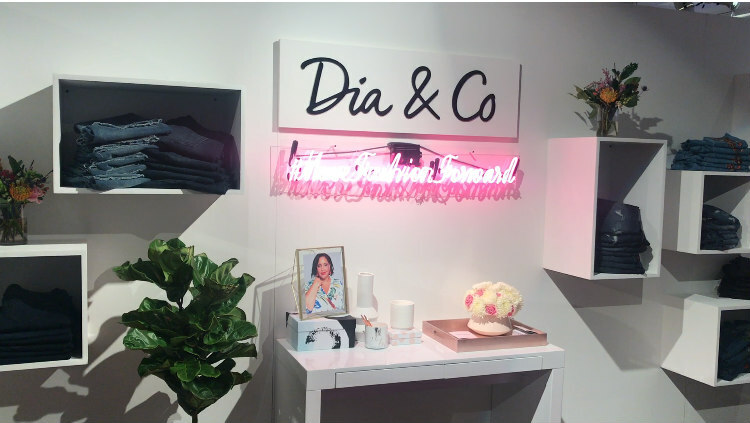 The Dia&Co booth was my home that day, and I was so proud to be apart of the Dia&Co family, and of the CurvyCon team! My home for the day! My look for Day 2! I had such a great time meeting new people and spreading the gospel of Dia&Co! 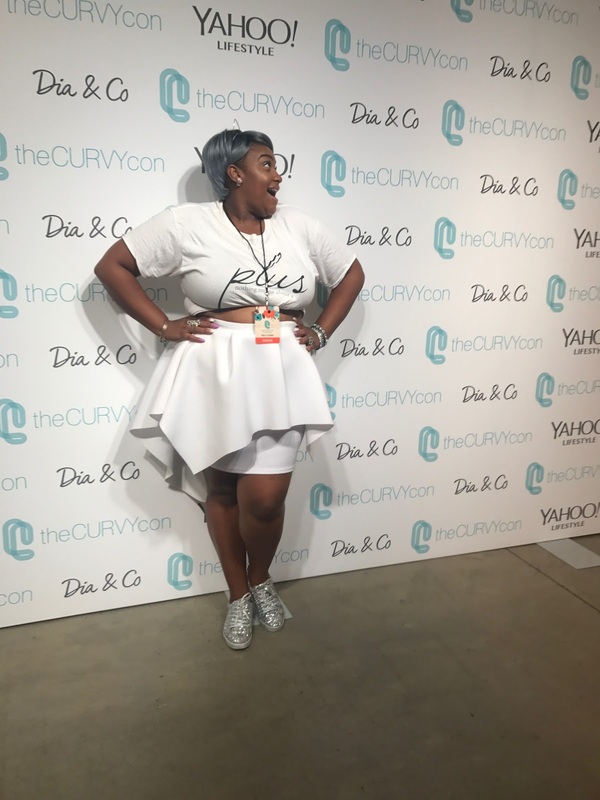 As I mentioned before I am a stylist at Dia, and I was definitly proud to be apart of the Dia team at CurvyCon. 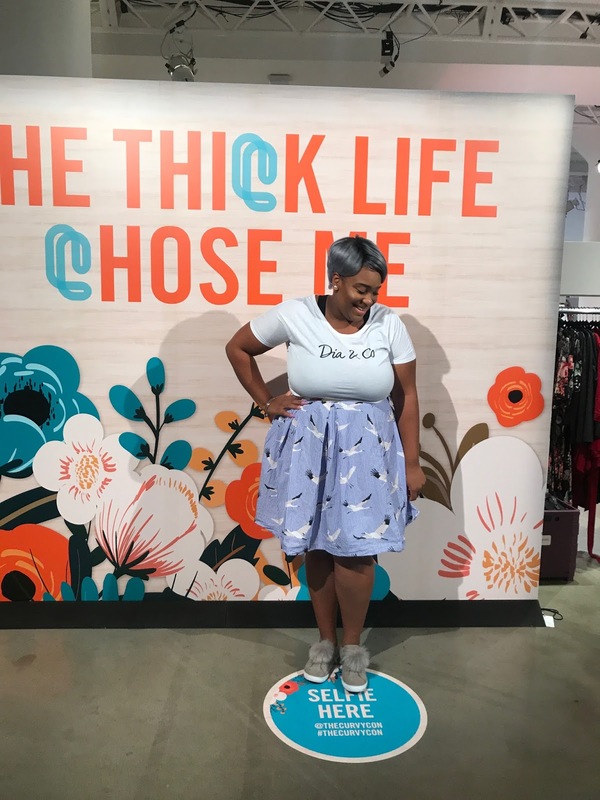 Since Dia&co sponsered the event this years curvycon was much more special to me. I am glad I was able to help out at the booth! A List of the vendors that were at CurvyCon this year! And that about wraps up the CurvyCon17 vlog! I had alot of fun, and I am glad that I ran into some of you ladies! I hope that you all will continue watching the Curvycon vlogs, and consider attending if you havent already! This week is all about CurvyCon, so come back later today at 5PM, and Friday for two more Curvy Con 17 related videos! Are you following me on social media yet? You should be! Follow today by clicking on the links above! I love you lots like tater tots, and I will see you at 5!